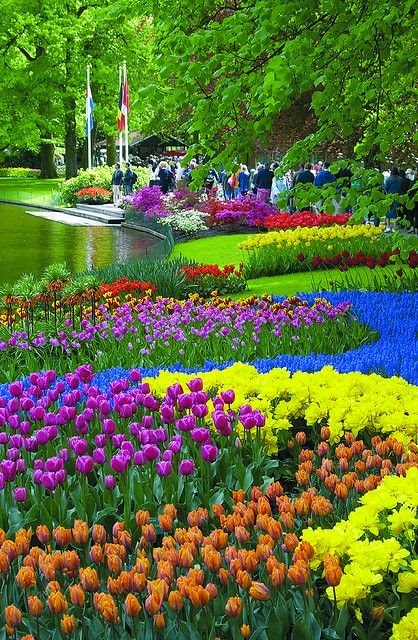 Keukenhof ("Kitchen garden") also known as the Garden of Europe, is the world's largest flower garden. It is situated near Lisse, the Netherlands. According to the official website for the Keukenhof Park, approximately 7,000,000 (seven million) flower bulbs are planted annually in the park, which covers an area of 32 hectares.